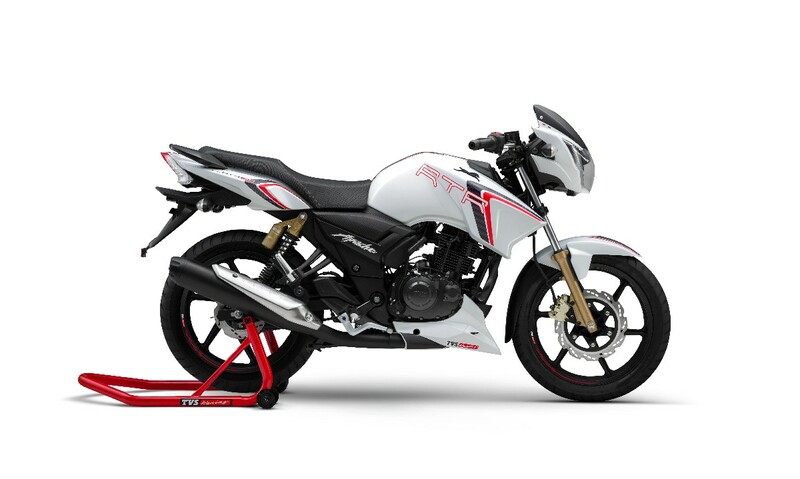 TVS Motor Company has launched the Race Edition of the Apache RTR 180. They have priced the new motorcycle at Rs. 83,233 (Ex-Showroom-Delhi). The motorcycle has been launched in a Pearl White colour with racing-inspired graphics. Disc brakes at both the front and rear end are standard on the motorcycle. The styling of the new Apache RTR 180 is based on a racing carbon fibre theme. It denotes light-weight attributes and racing intent. It features a new 3D TVS logo on the tank. The rims of the motorcycle also feature TVS racing stickering that accentuates the intent of the design. The digital dashboard has been carried over from the previous generation. It continues to feature 0-60 time recorder, top speed recorder, lap timer and service due indicator among other tell-tale signals. The mechanicals of the bike remain the same. The new bike still features the same 177.4 cc single cylinder, air-cooled, 4 stroke engine like before. It produces 16.62 PS of maximum power at 8500 rpm and 15.5 Nm of peak torque at 6500 rpm. On the performance front, the motorcycle boasts of a 0-60 kmph time of 4.96s. It also has the best in class power-to-weight ratio. The roto petal discs enhance the feedback and the bike provides superior braking performance. It is however available only in the twin disc version like before and doesn’t have an optional rear drum brake like the Apache RTR 160. 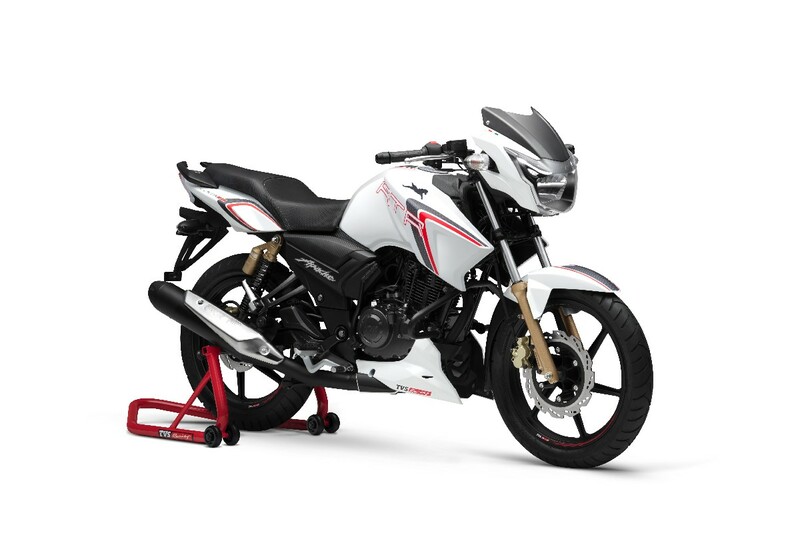 TVS also launched the Race Edition 2.0 of Apache RTR 200 4V recently. Read about it here. Honda launches the CBR650F at 7.3 lakh ex-showroom Delhi, Also showcased 4 other bikes!